Do you see these creamy pops freezing in this clever little popsicle maker ? Those are addicting, delicious, wow-me-and-surprise-me, oh-so-simple Nutella popsicles made with very little dairy. They are so creamy, yet the only dairy in them is the amount in Nutella. And with this little pops maker, it took less than 10 minutes to freeze these two wonders. Even my husband, who isn't a chocolate lover and could do without Nutella, and isn't that crazy about coconut milk, really really liked these popsicles. I had been seeing this Nutella popsicles photo sequence floating around Pinterest (this is what I based my recipe on, to give credit where credit is due), and thought I better give it a try since we received a Zoku Quick Pop Maker (they come in single , double or triple pops!) for Christmas and had yet to use it. I washed it out, let it dry and stuck it in the freezer for use in the next few days. I love Nutella . I LOVE Nutella. And ice cream pops. And I also am lactose-intolerant and am not able to eat more than a couple of spoonfuls of ice cream with taking a couple of Lactaid (one for each spoonful). So, I was determined to make these pops something that I could eat. I mixed up some coconut milk, a little almond milk and some Nutella with an immersion blender in a matter of seconds, then we were good to go. Can I just tell you how quickly I fell in love with this Zoku maker ? When we received it I thought it was a very, very cool toy (and I'd seen them on several food blogs and was admittedly curious) ... but that it was also a gadget we might use a couple of times and then find inconvenient and not use much more after that. Nope. I was wrong. This is the most convenient way I've ever made popsicles, and they freeze so perfectly. It's like you just ripped them open from a wrapper out of a box you picked up at the store, but they taste fresher. And they don't get that icy taste that popsicles frozen the old-fashioned way do. We also got this handy-dandy airtight Zoku pops storage case and this amazing recipe book with our Christmas present. I need to add extra popsicle sticks and the the cool tools to our collection at some point. Mix all ingredients together until blended well and no chunks of Nutella are evident. I used a hand immersion blender, but feel free to use the method of your choice. Cover and refrigerate until cold (the night before is perfect). Pour into popsicle molds according to the manufacturer's directions until frozen. 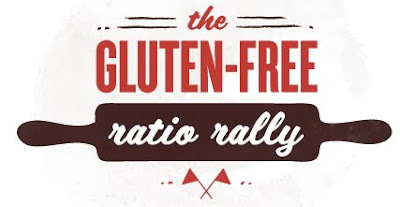 Gluten-Free Ratio Rally Does Waffles! Waffles this month, and I missed it again! 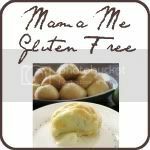 My friends in the Gluten-Free Ratio Rally cooked up some delicious waffles for you as their challenge this time around, and even though I had to miss out on the challenge again this time around, I wanted to share the delicious recipes the other participants cooked up for us. If you've been keeping up with the rally, you've probably noticed that things have slowed down. So many of us have had such big changes in our lives, or busyness ... or both, that we've had to put some things on the back burner. There are only two participants in the rally this month, and I applaud them for carrying it on for us until we can jump back into things with them. Morri over at Meals with Morri was the host this month, and she mentions several of these life events in her host post with these amazing and beautiful blueberry waffles. Be sure to check out Morri's waffles, as well as Discovering the Extraordinary Heather's Sunshine Waffles. 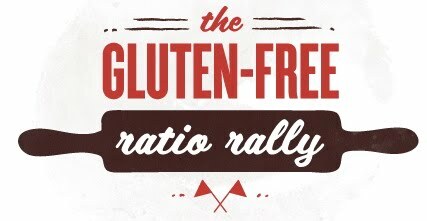 If you aren't familiar with the Gluten-Free Ratio Rally, I have a rally page here where I link to all the challenges I participated in, as well as host posts to those I didn't. Try it out - baking by ratio gives you kitchen independence you never could imagined before trying it!